The good times are moving fast these days, zipping by as we fly through space on this big ball of rock. As a writer it is my job to record, to pause, to go back in time, if only slightly, and squeeze the juice out of divine moments, and leave something special for those that read. I once had a Recreation professor in college that would say our moments in the outdoors have less meaning if we don’t reflect upon them afterwards. I think it’s technically called a debrief. I find truth in that idea as I sit here and write now, recharging and reenergizing for the next climbing excursion. The red rock desert of Indian Creek canyon is my home. I would not be opposed to have my ashes scattered there after my time here is done. I cannot fathom death now, being so alive, yet someday it will come. I just hope I can grow old, write, climb, and love more than I already have. I’ve got plans and dreams. This place, a seemingly endless corridor of red rock walls and towers with perfect cracks, little trace of man’s impacts, desert trees and bushes, free camping in the truest sense of the word, birds, lizards, bunny rabbits, and deer; it is a life changing place. Personally it consumes me, and living in Durango, Colorado just two and a half hours away, well it’s a part of my existence, and it gives and takes energy to be a part of this place. I’ve been learning lately to give one hundred percent into life; today is the only day we are truly given, yesterday is dead, tomorrow is a dream. So at Indian Creek I throw myself at the cracks: finger, off-finger, hand, wide hands, off-width, chimney; the fissures created by time and pressure are the objects of a climber’s desire. They are also known as some of the most perfect cracks in the world. And they are in my backyard. Perhaps I would have achieved more in life if I were not distracted by this pursuit. Or maybe the opposite, maybe these cracks inspire me to strive for perfection, as perfect as they are. Or maybe it is my friends, my climbing partners that inspire. Those cracks, there are thousands and thousands in the red rock desert, in the heart of Utah. 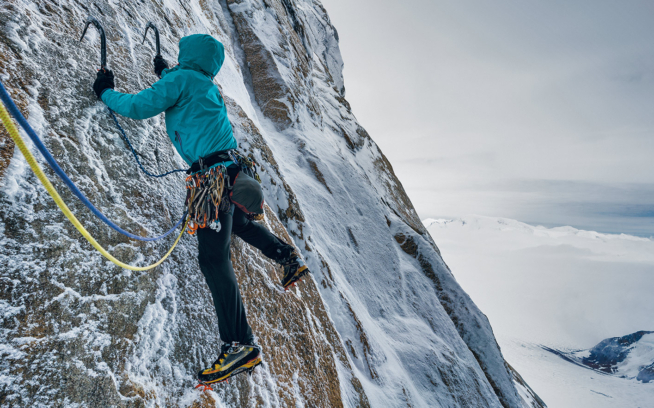 Only a few can be seen from the road, those are usually large ones, the ones that swallow our bodies, the off-widths that actually seem to be in fashion right now in climbing. 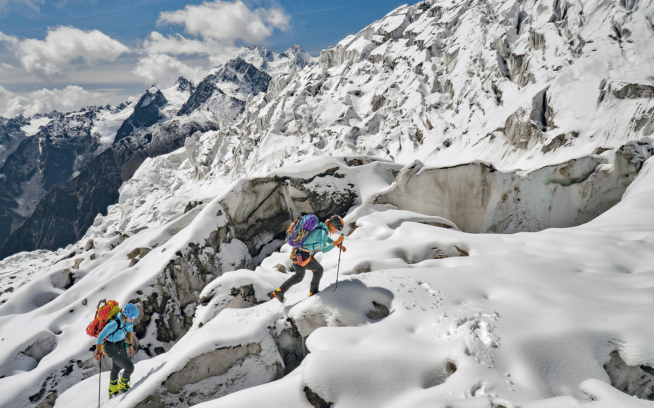 We have to hike to the cracks, and then we cannot resist climbing them. The most perfect are sought out first, those that stretch for a hundred feet or more, the ones that fit our hands and fingers perfectly are the best. The sensation is foreign at first. Watch a first time Indian Creek climber try to climb a crack. It is a ridiculous struggle, as the crowd below instructs how to insert a climbing shoe into a crack, then the hand or fingers, usually hands are the best appendages to insert into a fissure. Then watch an experienced Indian Creek climber, on a climb that is well within their ability level. They look like they don’t need the rope, or the camming units they stuff into the crack and clip the rope to. It looks intuitive, like vertical hiking. We all must find challenges though in climbing, and continually reach out of our comfort zones, to grow. There isn’t a climber on this earth that couldn’t find a challenge at Indian Creek. Climbers are all equal, or at least we should be, the struggle is where we unite. We get out what we put in. I am obsessed with this pursuit, and luckily I have a lot of friends that are into it too, some as obsessed as me, some even much more so. I know I’ll have people to share this passion with until I am old and gray. It’s strange to still have this comfort, as I am close to being in my mid-thirties. I once thought this was a pursuit for my youth, now I know it is a lifelong pursuit, and that is a good thing, the longer I live, the more climbs I learn about that I want to try. Try hard. That’s an important thing in climbing. Last weekend I tried so hard it hurt. I tried so hard I couldn’t try anymore, until the cracks above were painful just to look at. Just before that, in the climbing bliss, an evening sunset, when a beer was cracked, the peace pipe lit, my muscles feeling a nice pump, with just enough water in the body, I turned to my friend Lindsey, and asked why we ever leave this place. It felt like heaven, a utopia. The sun gave a red ray on an adjacent sandstone wall, as if this weren’t even real. The Bridger Jack towers stood proudly, staggering monuments to present and future climbing, each one its own formation, some higher than others, some more slender at the top, one looking like just a little capstone on a brilliant four hundred foot monument of maroon sandstone. The air cool, it was just too hot earlier, but now it has cooled, nothing last forever, not even that perfect moment. Especially the perfect moments, they fly by as quick as a bird zips by us on a cliff. The valley floor, greening up, any direction in that valley would lead to more sandstone walls, a maze of delight and adventure for a rock climber. The next day I knew why we leave. We returned to my favorite crack climbing cliff in the world, Broken Tooth, on a mission for one last climb. Hiking up the well built trail from volunteers, rock steps, and twists and turns built by minds that understood trails, my body didn’t seem to want to do it anymore. My legs and muscles burned. The rock wall in front grew closer, I was relieved. The mission was to retrieve a couple cams a friend had to bail on the day before. It was our fourth day of climbing at Indian Creek. Day one and two a climber may feel indestructible, day four is different. Day four, as my friend Al Smith III says, “The spirit was willing but the body was spongy and weak.” My friend had climbed a sucker crack adjacent of the prime line that was supposed to be climbed. A crack with no anchors, and one where the rock quality goes from perfect to suspect; I climbed up to the cams, and then down aided, praying other cams would not blow out of the rock, or become stuck. I’d been suckered in this crack before, and felt obligated to retrieve our friend’s gear. I then climbed up the correct line, setting up a top rope for Al, who belayed me as I climbed up and down. Lowering off, the rock was heating up, the darker rock hot to touch, and I was growing woozy, light headed, weak; ready to return home. And then I realized why we leave. 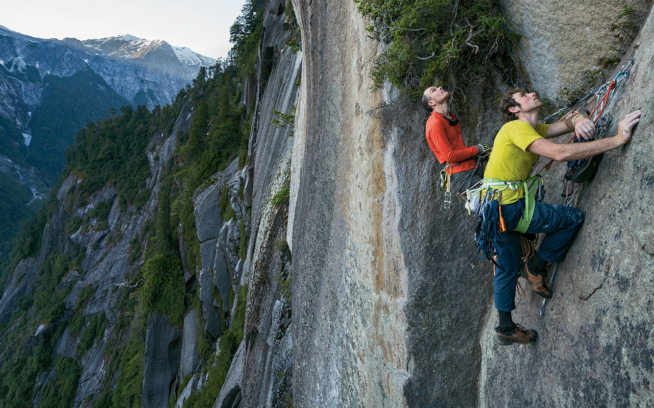 It is a home, but just one home; the climber has more than one home. It’s as simple as that. As simple as needing a shower, and rest. To recover. It would be interesting if the human body never tired. If we could go on for days and days climbing at our limits, if we could live for hundreds of years, instead of a maximum of just under a hundred, but we don’t, at least not yet. We’re living in a world of infinite possibilities, with a finite amount of time. When it all comes down to it, I only enjoy my active time when I’ve given one hundred percent, when I have tried hard. Same thing with my down time, if there is that itch, that energy to do something I won’t enjoy just sitting there, unless I am in meditation or yoga, but that is another essay. As for now, I’ve learned something in reflection, in repose, I’m still dreaming about Indian Creek, I always will be, it is a part of me, a part of the land I live within. I love it. I love the climbing partners that love it too. We love the pain and the glory. We love the crack. It is a painful, fiendish, obsessive love affair. My body is not ready to return just yet. There is more rest that is needed. More yoga that must be done. More water that I must drink, and food to eat. Across my room where I write and rest, my cams and ropes and other climbing gear sit there, just waiting to be used on the rock, just as my body, when it has recovered will be willing to be thrown upon those cracks, those rocks, in search of something. Happy Independence Day to all of our American readers. To everyone else, may you celebrate independence, like Luke, in your own personal way. Luke Mehall is the publisher of The Climbing Zine, “America’s Creative Climbing Publication,” and the author of three books: The Great American Dirtbags, Climbing Out of Bed and Graduating from College Me, A Dirtbag Climber Grows Up. 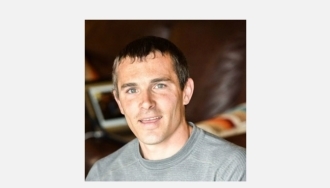 He has been published in Alpinist, Rock and Ice and Climbing, and has appeared on the Enormocast and Dirtbag Diaries podcasts. He lives in Durango, Colorado.